Over the course of about 100 minutes, in about a half dozen scenes, Haley tells us her story. The framework of the storytelling is that in each scene she's getting ready to go out on a date, or just coming home from said date. 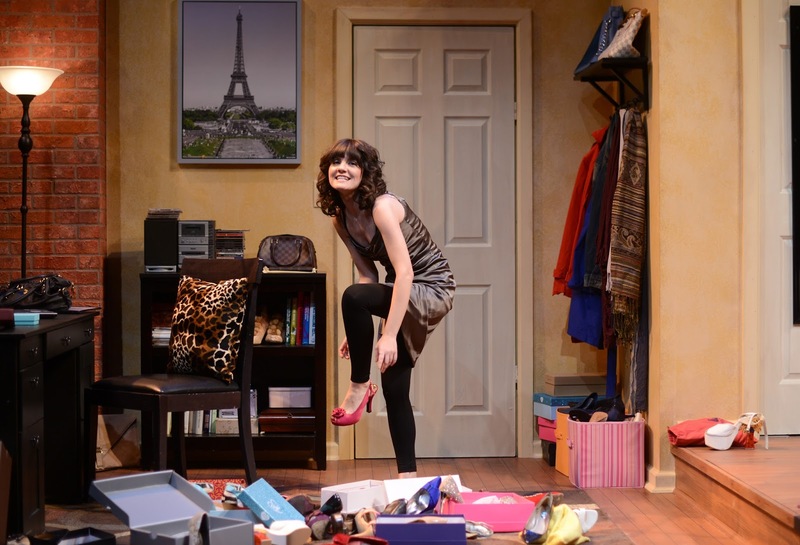 Her bedroom is a mess as she tries on multiple outfits and shoes (so many shoes!). She tells us stories from her history, about how she got where she is - a single mom living in NYC running a successful restaurant. She tells us why she hasn't dated much (not wanting to rock the boat of her successful life and happy kid), and why now she's ready to give it a go. She tells us about her bad dates, her good dates, and her unexpected career crisis. Through it all we learn to like and root for Haley, because she's really not that different from any one of us (except that she's funnier than most of us). You'd never know that this is Sara Marsh's first solo show; she's so natural and confident on stage, looking right at the audience and responding to us (this is one of those shows where it's OK to talk back a little if invited to do so). Sara is a natural storyteller and makes Haley feel so real, like someone you want to hang out with. 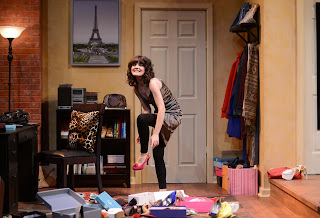 But of course a one-person show is never really that, and Sara has great support from director Mel Day, costume designer Annie Cady (with versatile layers and tons of great shoes), and scenic and props designer Eli Schlatter (a very detailed and lived in bedroom set). 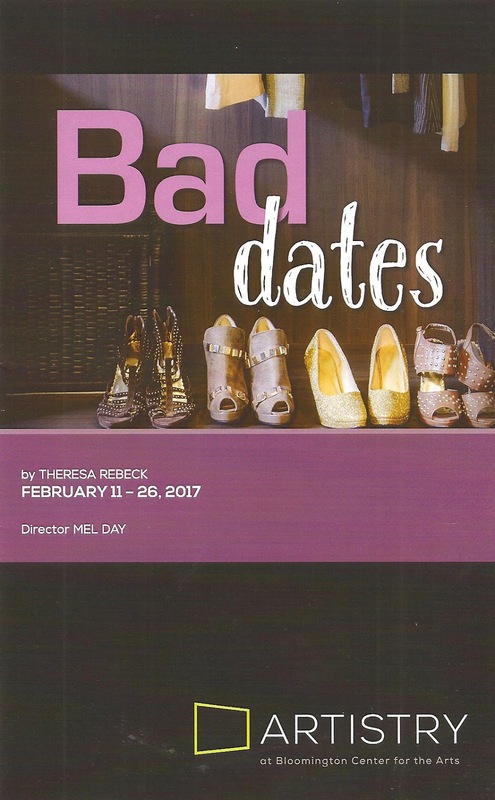 The funny and engaging Bad Dates continues through February 26 in Artistry's black box theater (and you still have time to catch the deliciously campy Little Shop of Horrors in their main theater through February 19).